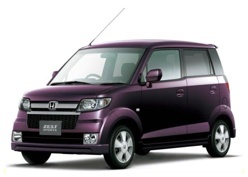 There is additional incentive in markets like Japan for tiny cars, as you may know. Tiny cars get big tax breaks. Kei cars, like the Zest pictured, are limited to being only about 134 inches long and the power output of the engines is restricted to 64HP, at least to stay within their tax category. We do not have that incentive in the United States, nor the same concerns about congestion in cities. Some of our larger cities are congested, of course, but they are not where most Americans drive or live. I like small cars, myself, but the reasons those cars can be successful in a different market where they are not here also has to do with government controls, or lack thereof, here and there. And these controls are a result of differnt cultures, values, and mindsets, too. i love the look of the car. it is tiny and beautiful!!! We do not have that incentive in the United States, nor the same concerns about congestion in cities. Some of our larger cities are congested, of course, but they are not where most Americans drive or live. Having energy consumed cars our eco-system is never going to rebound from all of the damage it has absorbed. Driving this car would be great for our world views. The future of are well being is promised.